Manga and Anime Bloggers for Japan | We ♥ Shoujo!! We all know about the recent earthquakes and tsunamis in Japan. And since we’re anime/manga bloggers/fans, we all love Japan, and we have a duty to pray for Japan and spread the word about this website, which is a wordpress blog dedicated to help Japan. There you can donate or help spread the word. “You may be reluctant to give. Perhaps you’ve already texted $10 to the Red Cross to help quake and tsunami victims, or maybe you just have a tight budget this month. But if you can manage another $10-30 out of your anime and manga spending budget this month, we can give back to the country that has provided us with our favorite hobbies and forms of entertainment. If you love anime and manga, Japanese music, Japanese figures or any thing else that can only be found in Japan, you probably feel the same kind of affinity for Japan that I’m referring to. These are things that have given people all over the world not just vibrant art and storytelling, but a look into a fascinating culture. While the areas most affected by the natural disasters are not the centers of anime and manga production, there is no doubt that many in the industry are from these cities and villages or have family there. There’s a chance that, one day, a famous creator will rise from these survivors and show us his or her unique perspective. By giving money to the relief efforts, we are not only helping others out of the goodness of our hearts, but we are giving back to a people who have brought us joy. I certainly feel like I owe a meaningful chunk of good things in my life to Japan, so if you feel the same way, I would like to encourage you to donate any amount possible. My old school held many charity events (karaoke for Japan, bake sale, red and white free dress day, red and white bracelet sale, etc.) to raise money for Japan. This is the spirit, and being anime/manga fans, we are indebted to Japan for the fun and entertainment they have brought us, so we should be making even more of an effort. Even plain praying will do. After going to Japan and experiencing a small earthquake (in the middle of the night) in Tokyo myself, I can relate to the terror felt by the victims of the earthquake better now, and I really think they deserve much more. That feeling of impending doom, like you’re about to die and lose your family, that’s just as horrible as the world can get. “Well, yeah, it was a small one, only one of those so-called tremors you get in big cities when other places in the same country have big earthquakes. But frankly, for someone who lives in a place like Shanghai and has never experienced an earthquake, it was really, really terrifying. And I never want it to happen again. “Because, being a worrywart, I’m usually always stressing about something. Whether it be tests, a fight with a friend, or moving to another country and going to boarding school there. But nothing compares to the me during the earthquake. I was a WRECK. I could SEE my hands shaking. I could feel my legs wobbling. The ground underneath my feet that I used to trust so much that I never thought about it didn’t seem so safe anymore. I can’t trust the world I live in when it’s so unstable, prone to change and complete disaster. Anything could happen. I find myself tensing and putting a hand on my chair or sofa to see if there are any tremors. Usually there are, but it’s just from the shaking from me. I think that’s plenty ridiculous. But I got quite a scare. And in that moment, I was more than willing to give up a fun trip to Daiso Harajuku and Oriental Bazaar just to get back home in Shanghai, where I know it is safe. “But earthquakes are different. Everything around you is dangerous, you are not safe wherever you are. The ground is shaking and the room is wobbling, how can you feel safe at all? I think that’s scarier than being in an airplane that’s out of control. Because at least you know that when you land, it will be a safe, stable ground where you won’t shake anymore. Whether it be a crash or a safe landing. But during an earthquake, there is no safe place. It’s shaking everywhere. I don’t like the fact that there are natural disasters. I guess it could toughen a person. Make them more independent. But it’s devastating, seeing all those people get hurt and killed in those disasters. I guess I was making a really big deal of a few tremors, but hey, it was my first earthquake. And I’m the biggest scaredy-cat in the world. Imagine how the Japanese felt when the earthquakes and tsunamis came. Running for your life isn’t enough, throwing away all attachments to your personal items isn’t enough, protecting your family isn’t enough. That feeling like you’re going to die and the sky is going to come crashing down, and there’s absolutely nothing you can do about it. As the shaking gets worse, you can’t even stand, everything is falling apart, and all you can do is curl up with everybody else and pray for it to go away, slowly being torn up inside. 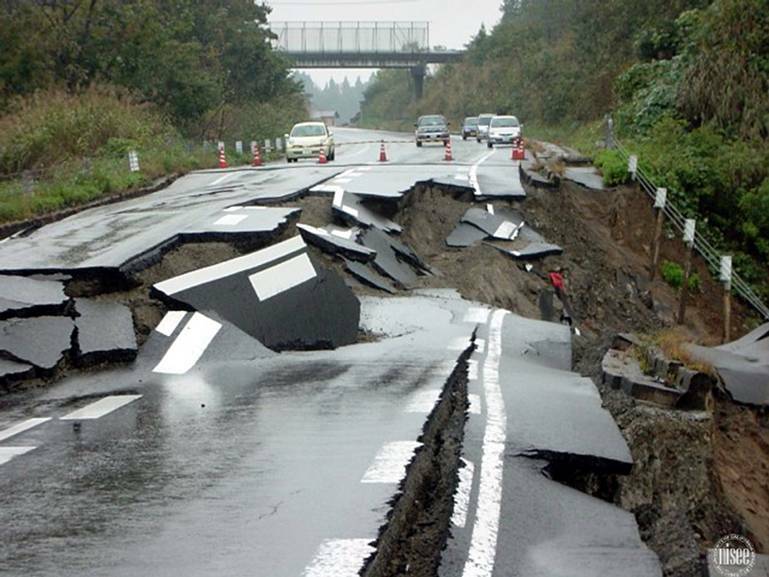 Japan had survivors, but earthquakes are still going on, although not as bad, they’re still going on. So please donate to Japan to help them cope with their terrible losses and all the damage to their environment. Help the unfortunate and save many lives, just by donating a few dollars and spreading the word about bloggers4japan.com!